Amazon Web Services (s amzn) has rolled out a new offering, called GovCloud, designed specifically to run federal government workloads. The AWS region is designed to meet the myriad regulations that government agencies must meet when deploying new infrastructure, which have proven something of a hindrance in terms of letting the government adopt cloud computing services. And the timing couldn’t be better. The GovCloud site explains that government agencies have had trouble processing and storing data in the cloud, which the government says can be accessible only by U.S. persons. But because AWS GovCloud “is physically and logically accessible by U.S. persons only, government agencies can now manage more heavily regulated data in AWS while remaining compliant with strict federal requirements.” Of course, GovCloud will feature high-level security for all this data. The timing of GovCloud is no doubt aligned with the upcoming October deadline by which federal agencies will have to offer initial reports about which of their data centers they’ll be closing down. The Office of Management and Budget has mandated that the government reduce its data center footprint by 38 percent by 2015, or 800 data centers, and offloading workloads to the cloud will certainly be among the tactics for pulling off that lofty goal. The government is a massive source of IT spending, and AWS knows it has to play by the government’s rules if it wants to get a piece of that pie. Microsoft (s MSFT) and Google (s GOOG) are currently involved in a heated legal dispute over government contracts for their cloud-based collaboration services. One thing that’s unclear is how, if at all, GovCloud is related to AWS’s previous work with government contractor Apptis on a project called FedCloud. I have reached out to AWS for a response on this question and will update this post with any feedback. 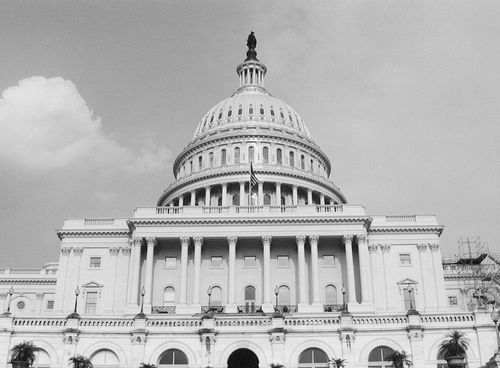 According to an AWS spokesperson, government contractor Apptis will still be using AWS to provide cloud infrastructure to the U.S. government through its FedCloud portal and will utilize the GovCloud region. Image courtesy of Flickr user Hey Paul.